First Sentence: One may as well begin with Helen's letters to her sister. E. M. Forster is so damn good at this. Full disclosure: I've already read A Passage to India but am doing my utmost to ensure that my review of it won't be posted until its proper place and time in The List. That means this is my third Forster novel, and it's now safe to say I'm a huge fan. I can't wait to read Maurice, his gay novel, and also whatever else of his that I can find. Helen and Margaret Schlegel are young women who meet the Wilcoxes while travelling in Germany, and Helen (the younger sister) accepts an invitation to visit the Wilcoxes in their home at Howards End. Helen falls in love with the house and the family life as embodied by the younger Wilcox son, Paul, which results in some various shenanigans that lead to a rupture between the two families. That is, until the Wilcoxes move into an apartment of sorts across the road from the Schlegels, and Margaret Schlegel strikes up a friendship with Mrs. Wilcox. However, it turns out that Mrs. Wilcox isn't well, and she dies in a nursing home. The complicating factor: her dying wish, written in pencil on a scrap of paper, is to leave Howards End to Margaret. Her family ignores her wishes. More things happen, including the introduction of poor clerk Leonard Bast and his wife Jacky, who figure prominently as the book goes on. As always, Forster's themes feel uncannily modern. He's taking on matters of class in this book, as well as the meaning of home and family. His depiction of the two Schlegel sisters is excellent (and their younger brother, Tibby, is excellently comic). I love the way that they talk about money and their relative wealth. Forster's treatment of Mr. Wilcox and co. is likewise perfect and the sympathy that he gives to Mr. and Mrs. Bast is great too. Everything is great. There are several twists late in the novel that I didn't expect at all, and that, again, feel like something out of a much more modern novel. Forster's writing often has a humourous tone that can belie the seriousness of the events depicted. He doesn't waste much time on flowery prose, but can get to the heart of a setting with great dexterity. He really is so good at this. I will say, to end this review, that I liked A Room with a View just a bit better, possibly because it's an unusual love story and didn't have quite as much heavy subject matter as this book does. 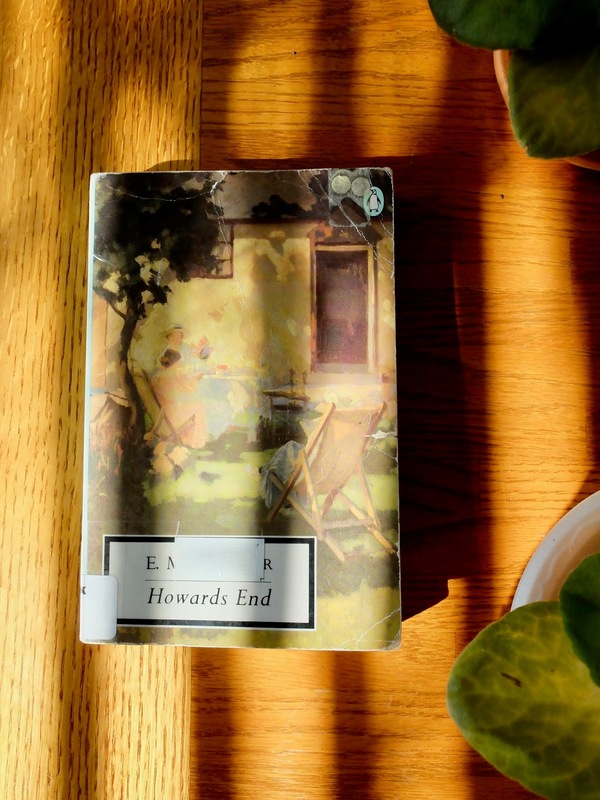 If you want to know where to start with Forster, I'd start there, and then come to Howards End. This also resulted in my renewed longing for a cozy home in the English countryside but I'm pretty sure that's a long way away from ever becoming a reality. The affections are more reticent than the passions, and their expression more subtle. If she herself should ever fall in love with a man, she, like Helen, would proclaim it from the house-tops, but as she only loved a sister she used the voiceless language of sympathy. Looking back on the past six months, Margaret realized the chaotic nature of our daily life, and its difference from the orderly sequence that has been fabricated by historians. Actual life is full of false clues and signposts that lead nowhere. With infinite effort we nerve ourselves for a crisis that never comes. The most successful career must show a waste of strength that might have moved mountains, and the most unsuccessful is not that of the man who is taken unprepared, but of him who has prepared and is never taken. Charles and Tibby met a Ducie Street, where the latter was staying. Their interview was short and absurd. They had nothing in common but the English language, and tried by its help to express what neither of them understood.